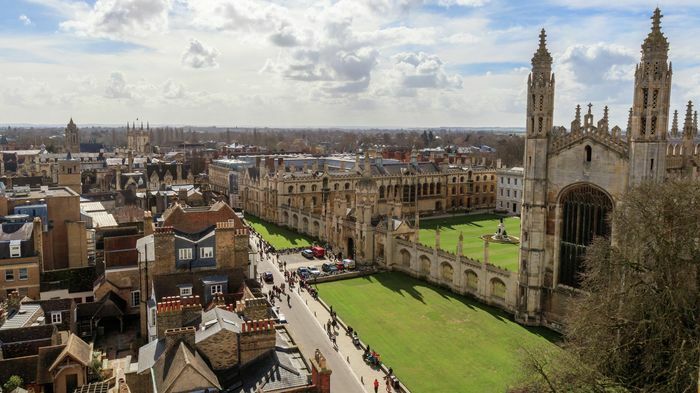 Cambridge has been named as the “most unequal” in the UK by a new analysis of admissions figures. A report released yesterday by the Higher Education Policy Institute (HEPI), a think tank, found that Cambridge was the worst University in the country for proportionately representing students from areas of varying higher education participation in its October 2016 intake. It compared the number of students Cambridge accepted from the five different POLAR (Participation of Local Area) regions to a ‘perfect’ distribution in which the same number came from each. The results placed Cambridge with the worst score, its overall makeup the furthest from proportionately representational. The methodology, which does not take into account varying application rates and other factors, was criticised by the University as failing “to reflect the diversity of our society”. POLAR divides the UK into different areas and sorts them based on the proportion of 18 year-olds who enter higher education from each. The areas are sorted into five quintiles, with quintile one representing the areas with the lowest participation in HE and quintile five representing those with the highest participation. For each university, HEPI plotted the number of students from each quintile onto a curve and compared the resulting curve to a theoretical line with an equal number of students from each quintile, calculating a Gini coefficient. The graph below shows the 2017 curves for Cambridge in Cambridge, Oxford, and the national average, as well as Cambridge’s 2016 stats, compared to the theoretical ideal of ‘perfect’ equality. The author of the analysis – Professor Iain Martin, vice-chancellor of Anglia Ruskin University – said it “provides, in a single number, a simple measure of inequality”. “If innate talent and capability were distributed evenly across the population then, consequently, in an ideal world students from all areas would be distributed evenly across institutions with different characteristics,” he said. The measure placed St Andrew’s, Bristol, and Oxford alongside Cambridge as the UK’s most unequal universities, while Hull, Derby, and Edge Hill University were ranked as the most equal. Data for 2017, which has recently been released, shows that Cambridge remains behind the curve, though its results have improved slightly. Figures for last year show both Oxford and Cambridge taking students from the areas of highest participation at a rate much higher than the national average. UCAS data shows that 53% of students entering Cambridge in 2017 came from areas in quintile five while only 4.5% come from areas in quintile one. This is an improvement from 2016, when 56% of students came from quintile five and only 3.3% came from quintile one. As a result, Cambridge’s Gini coefficient improved from 0.481 to 0.453 – slightly closer to a ‘perfect’ score, of zero. Responding to HEPI’s findings, the University sounded scepticism over the methodology used and emphasised its current outreach efforts. “Any analysis using a single measure fails to reflect the diversity of our society; POLAR, for example, effectively assumes that people living on the same street have the same likelihood of entering Higher Education as their neighbours,” they added. The University has included increasing admissions of students from the lowest-participation areas as part of its access agreements with the government regulator. In 2016, it added a second measure, Output Area Classification (OAC), to improve its intake of disadvantaged applicants. OAC, which categorises areas into broad socio-demographic classes – such as “Mining legacy” and “Ethnically diverse metropolitan living” – is a significantly more detailed measure than POLAR, and it is granular enough to hold data on individual streets and blocks rather the larger areas used to measure participation.